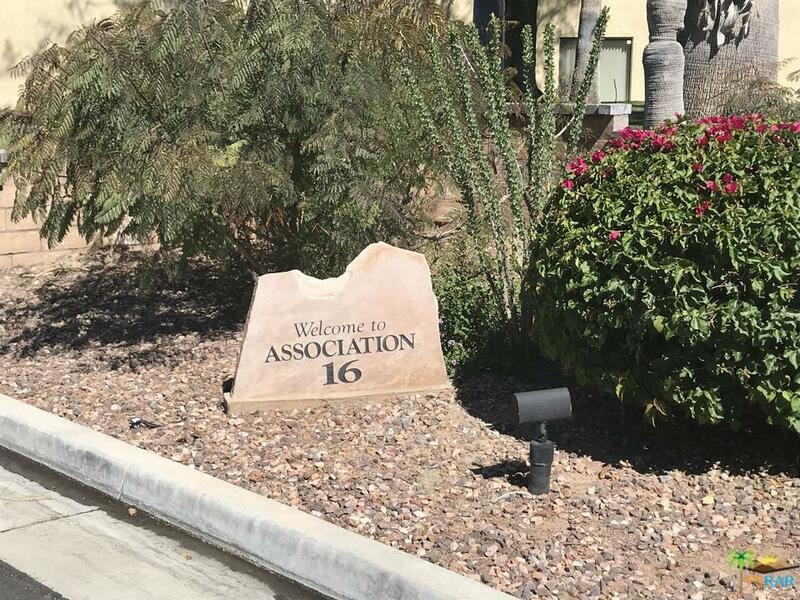 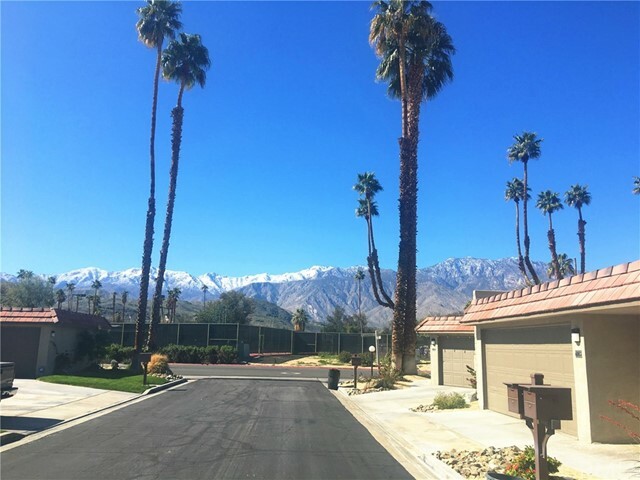 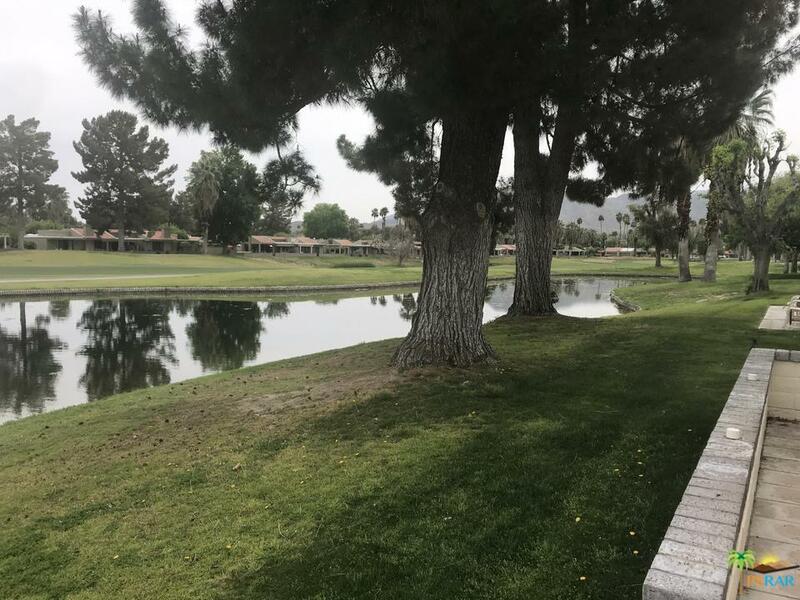 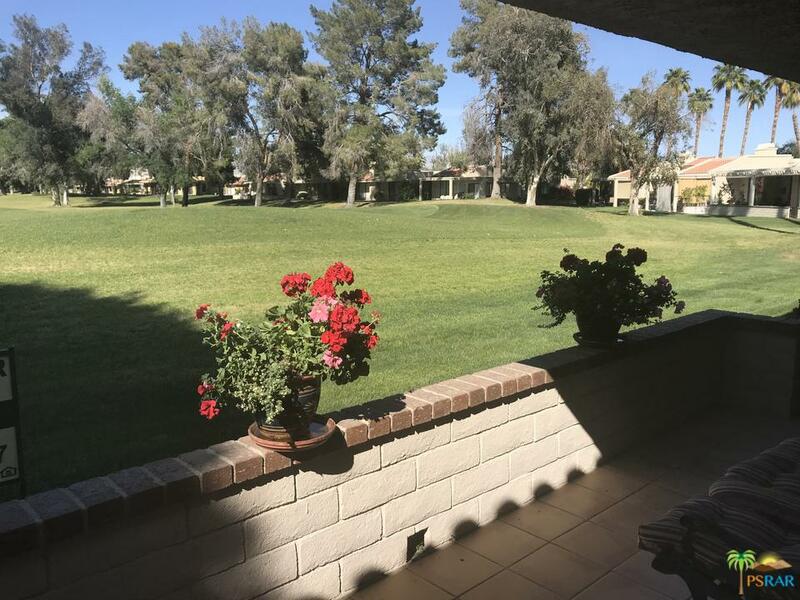 This spacious Cathedral Canyon Country Club 2 bedroom condo offers southern exposure with mountain views ; quiet cul-de-sac interior location is just steps to one of the many pools and spas, walking distance to the clubhouse/golf/tennis. 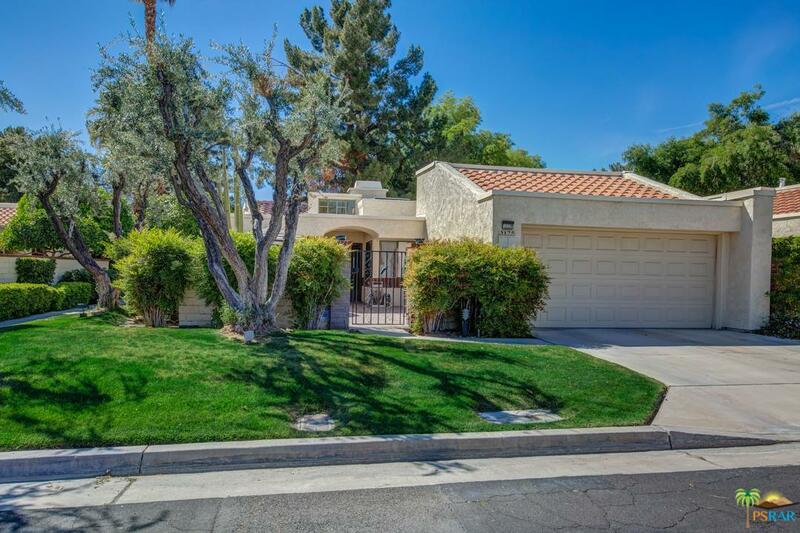 2 lovely patios: one private, walled and gated; the other offers easy access to your practically private pool. 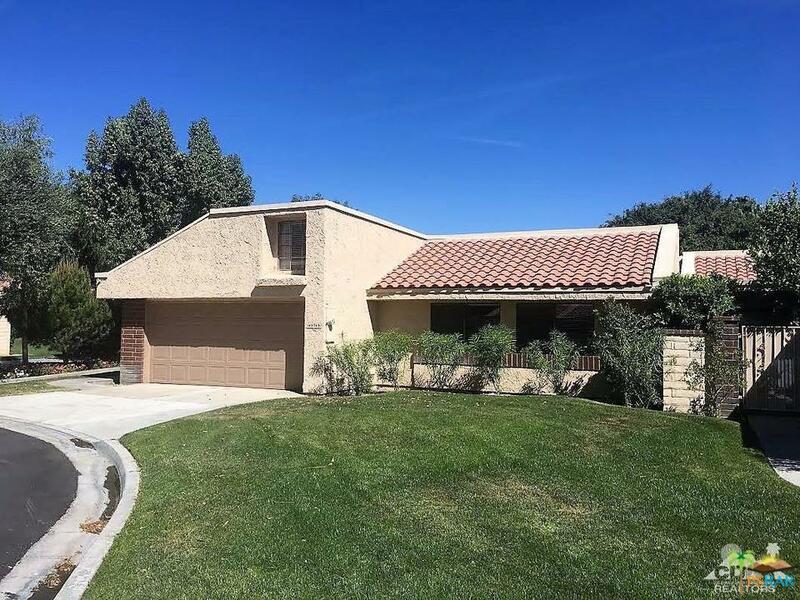 The interior is move-in ready, freshly painted, with updated wood laminate flooring and newer kitchen appliances. 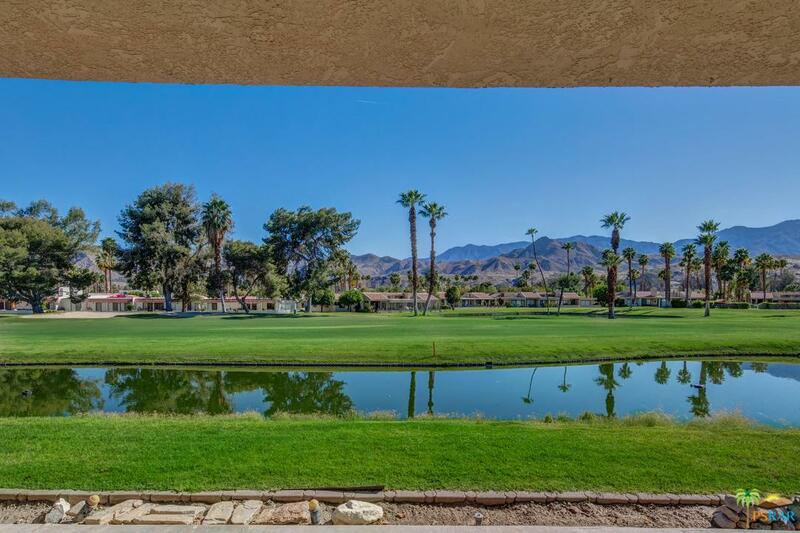 The dual master suites feature a nice separation and the brick walls make keeping cool a breeze. 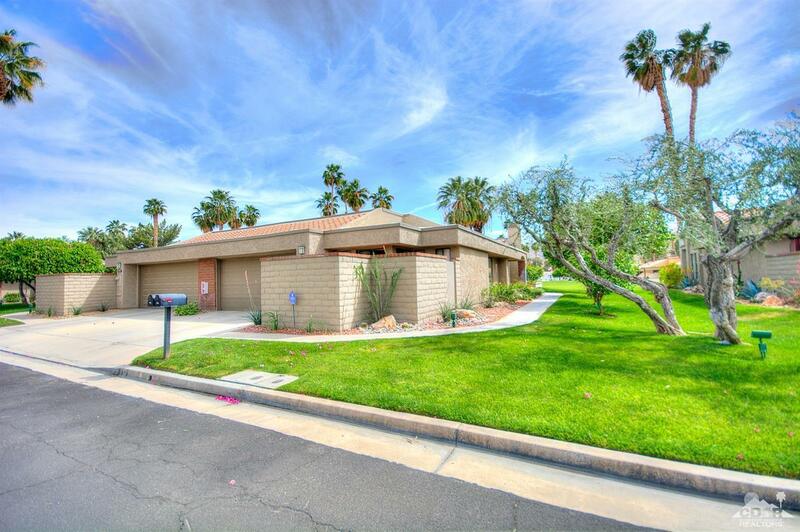 Add to that, a private garage (which is hard to find in desert condominium complexes) including the washer/dryer and newer automatic garage door opener. 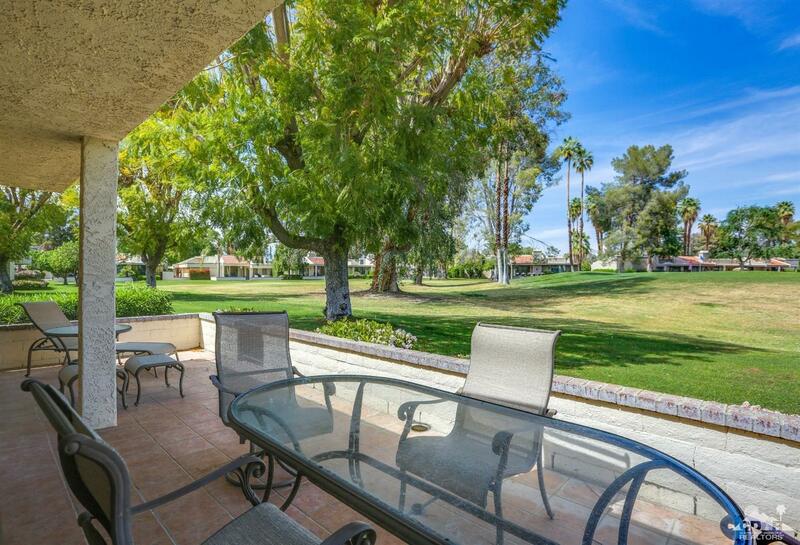 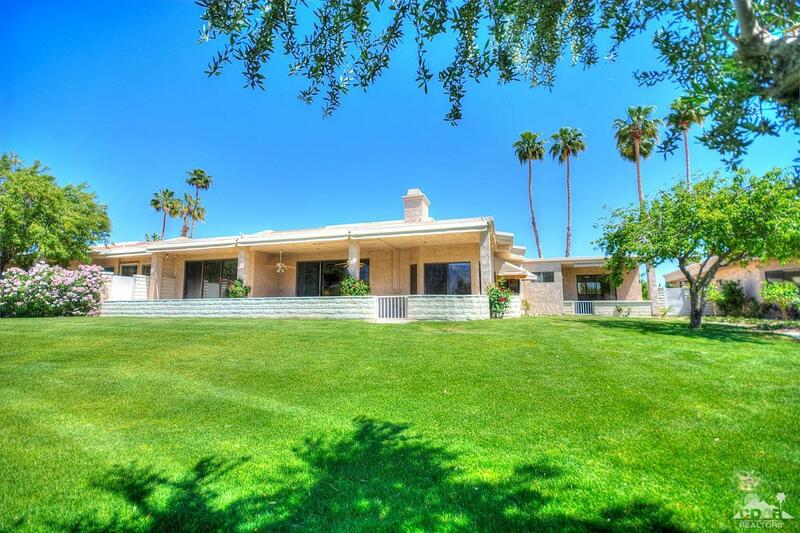 Move in today and enjoy all the privacy and amenities of centrally located country club living.